The Mahaska County Soil & Water Conservation District is Hiring! Job Description: This position involves providing technical assistance to landowners and operators in Mahaska County. Incumbent works in the office and the field on the promotion, documentation, contracting, installation and maintenance of conservation practices. Assists other field office staff with surveys and layout of conservation practices and performs status reviews and follow up with landowners. Produces field notes, prepares data sheets and other documents. Assists in preparing documents for state cost-share programs. 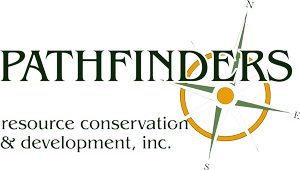 The successful candidate will assist with engineering surveys, designs, seeding plans, and practice checkout for the various conservation practices. These practices include terraces, water & sediment control basins, cover crops, filter strips and conservation cover and others. One-on-one assistance will be provided to landowners to ensure that procedures are followed to receive cost-share funds and that practice construction meets specified standards. Required Education: High School graduation is required. Job Qualifications and Experience: Meet educational requirement and provide evidence of ability to assist with fieldwork. A valid driver’s license is also required. Method of application: Submit cover letter & resume to both contact persons above by 4:30 pm on September 27, 2018.